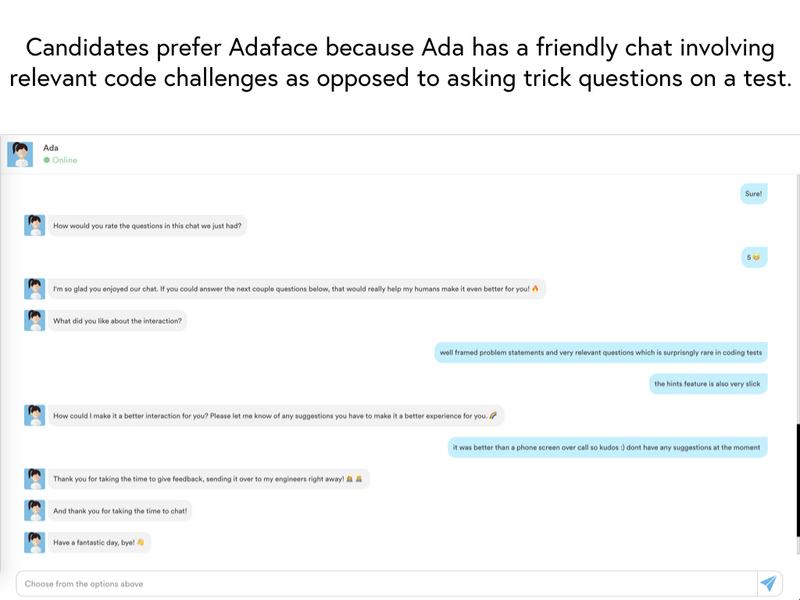 Adaface helps you identify the top candidates for all your tech roles fast. 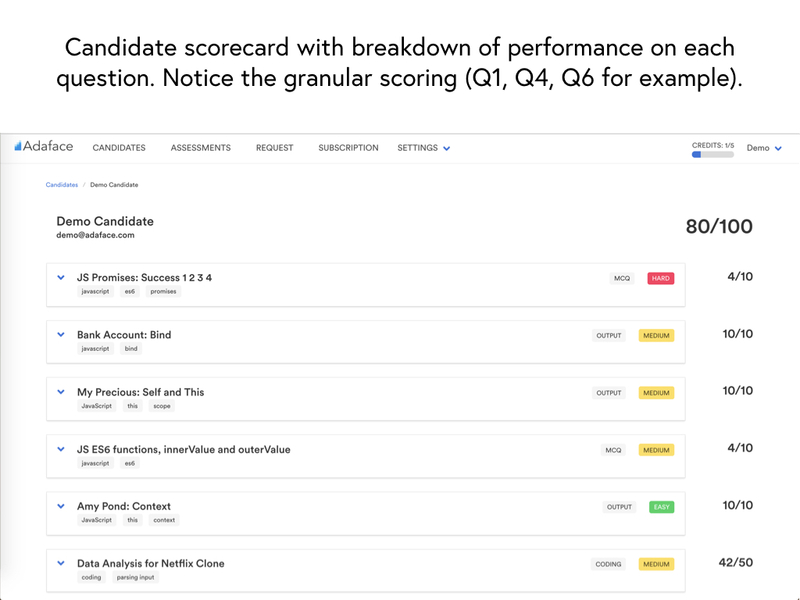 Save crucial engineering time by screening candidates with 750+ custom assessments for on-the-job skills (all programming languages, frameworks, aptitude). 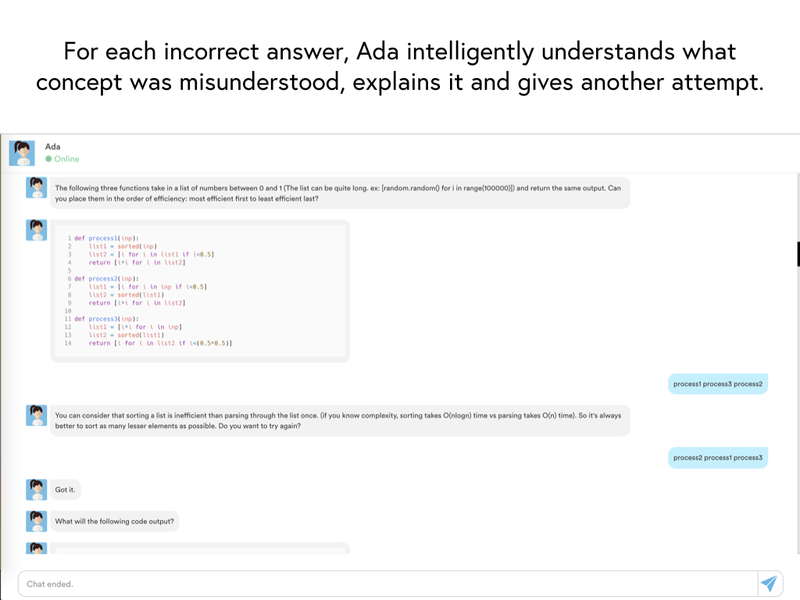 Top candidates prefer Adaface because our bot, Ada has a friendly chat involving relevant code challenges with them as opposed to asking trick questions on a test. 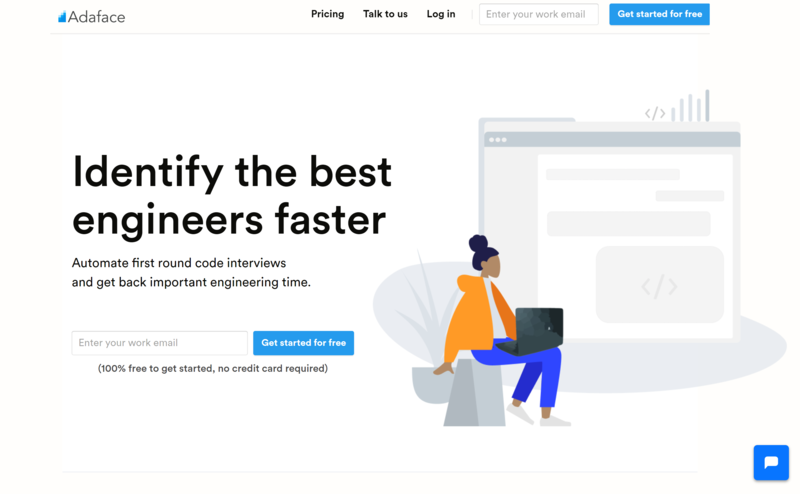 – Shorter assessments (45-60 mins) to make sure engineers do it ASAP, they are investing as less time as possible, while still enough to showcase their expertise. 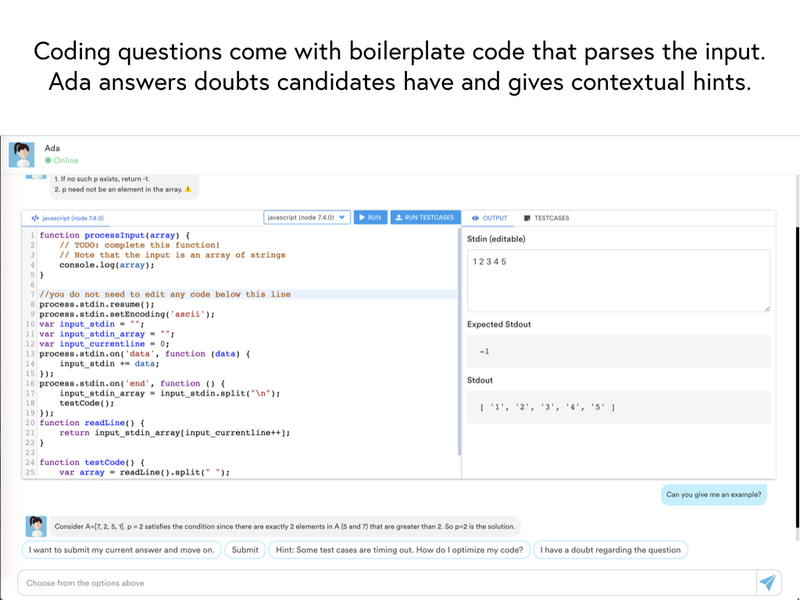 – Works on any device (mobile responsive!) and browser, no extra installation.